This package includes all of Tony’s premium picks from NFL Pro Football today for only $27. This package includes all of Tony’s premium picks from the NFL for 1 Month. You will receive a user name and password to access your picks. Picks are posted by 8AM. Cost $199. This package includes all of Tony’s premium picks from the NFL for 3 Months. You will receive a user name and password to access your picks. Picks are posted by 8AM. Cost $340. 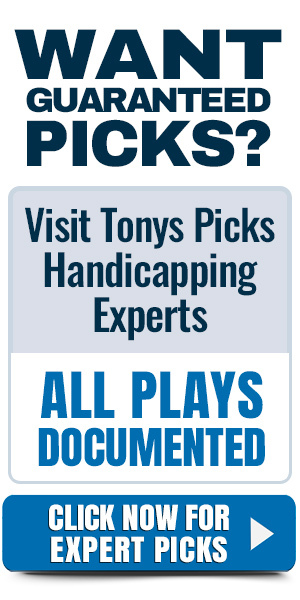 This package includes all of Tony’s premium picks from the NFL for until the Super Bowl. You will receive a user name and password to access your picks. Picks are posted by 8AM. Cost $547. This package includes all of Tony’s premium picks from NCAA College Football up until the Championship Game and NFL Pro Football up until the Super Bowl. You will receive a user name and password to access your picks. Picks are posted by 8AM. Cost $997. Order online or you may charge by phone by calling our toll free number at 888-711-1185 with your major credit card.